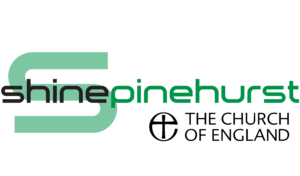 Safeguarding of all those that are involved with shinepinehurst is really important but especially those that are vulnerable due to age, disability or incapacity. We are constantly developing and improving our Safeguarding Policies in line with guidance received from Bristol Diocese and if there are ever any concerns or concerns about our practice or anyone involved with our work then please get in touch. If you are worried, or heard anything concerning about a child, young person or adult…. Our Designated Safeguarding Lead(s) are Simon Halls or Becky Lafford. They can be contacted on 01793 339775 or you can also contact the Diocese Safeguarding team 0117 906 0100. To complete our concern form click here. We are also committed to supporting all those affected by all forms of domestic abuse.